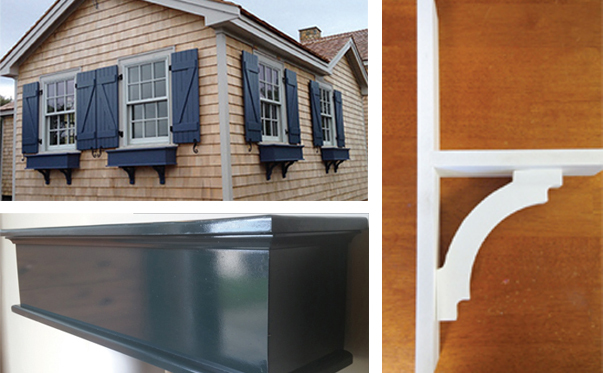 Custom Composite window flower boxes, are constructed at our facility using specialty composite glue, stainless steel nails and screws. 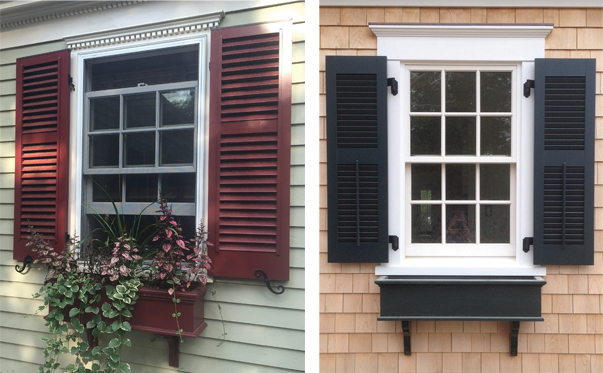 Flower boxes are offered unfinished or prefinished in automotive grade paint to custom match your exterior shutters. They can be installed stand alone or with decorative knee brackets. 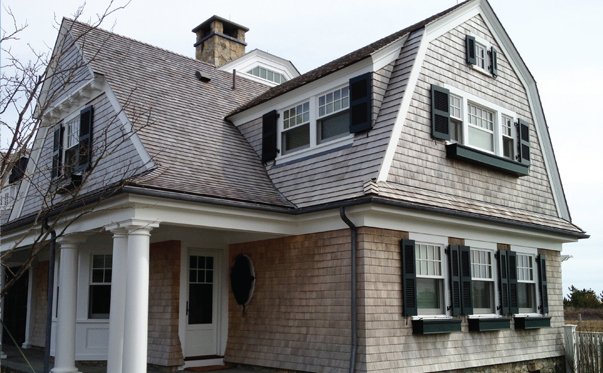 We offer installation upon request. 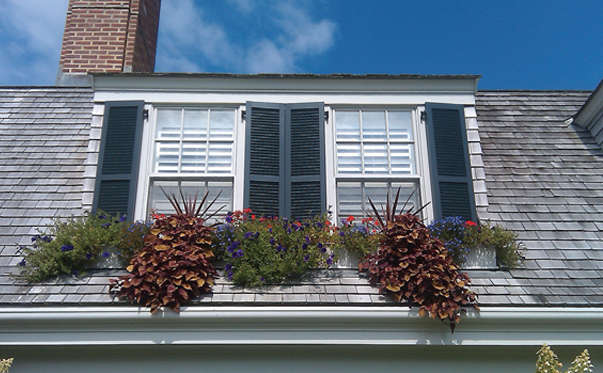 Window boxes are custom sized based on your window opening. Verification of sizes will be confirmed prior to ordering.